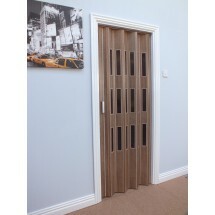 Marley's best folding concertina door come with a luxurious appearance, classical-exclusive atmosphere. Who can reject this? 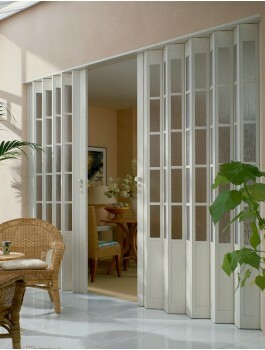 And thanks to its versatility the President folding door fulfills your individual creation wishes exactly. Pattern: Beech *, oak *, white-ash* with full lamellae or - as "President glass" - with structured acrylic glass insets. One or double-wing insertion is possible. locking device while the door is opened. Joint link of long-term-elastic soft plastic and maintenance-free special gliders for a long-standing, noiseless using! 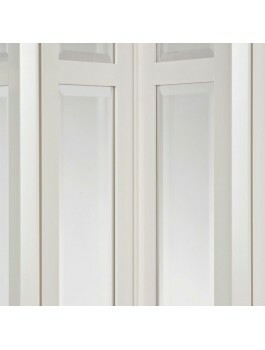 Colour : Royal Ash Wood Grain Effect with 'Glass' Panels Material: Plastic material, including adjustment which keeps the door in the open position. 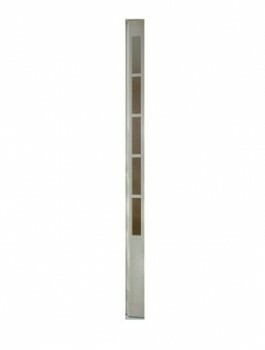 Lockable Silver handle Properties: one or two wing Max. Measurement: 205 x 86cm, (expandable to 200cm with extra lamella) one wing. 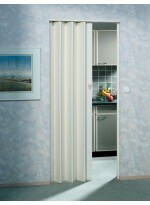 205 x..
Colour : White Ash Material: Plastic material, including adjustment which keeps the door in the open position. Lockable Silver handle Properties: two wing Meet in the middle. 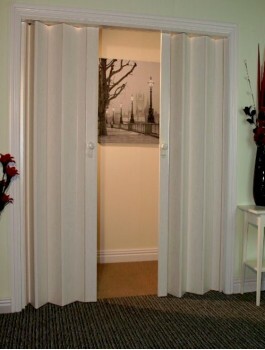 Door Measurement: 205 x 172cm, Max. Measurement (expandable to 200cm with extra lamella) one wing. 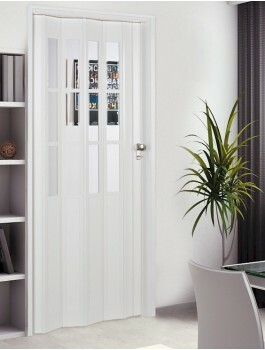 205 x 167..
Colour : White Ash Material: Plastic material, including adjustment which keeps the door in the open position. 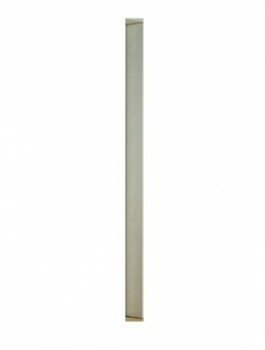 Lockable Silver handle Properties: one or two wing Max. Measurement: 205 x 86cm, (expandable to 200cm with extra lamella) one wing. 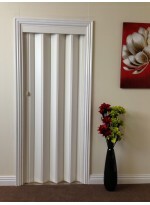 205 x 167cm, (expandable to 400cm with extr..
Colour: Royal Ash / Glass Properties: Extension Panel for use with the President Folding Door Dimensions: 14cm x 205cm ..
Colour: Royal White / Glass Properties: Extension Panel for use with the White Glass President Folding Door Dimensions: 14cm x 205cm ..
Colour: White Properties: Extension Panel for use with the President Folding Door Dimensions: 14cm x 205cm ..